Unaccountable Hours by Stephen Scourfield. UWA Press, 2012. 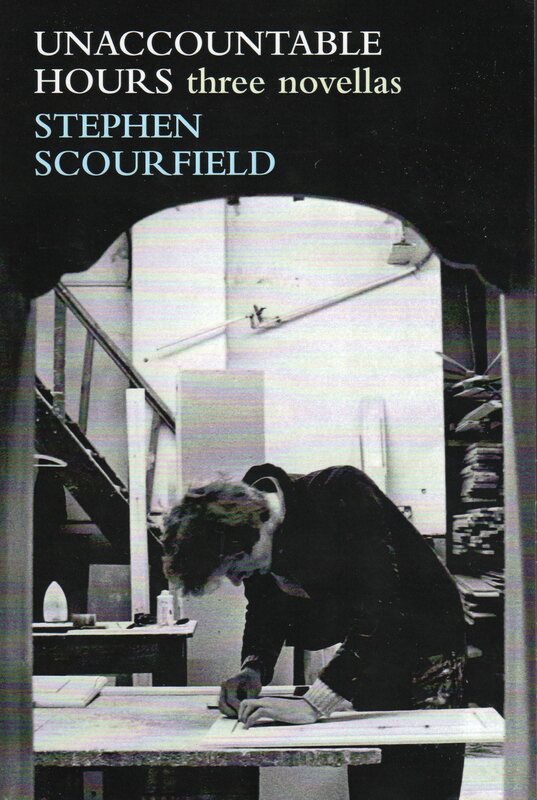 There is something refreshing in Unaccountable Hours, Stephen Scourfield’s compendium of three novellas released early this year by UWA Press. The refreshing thing, or rather the refreshing absence, is irony. Irony saturates modern culture. We are ironic about our tastes in television, books, music (especially music) and clothes. It’s probably fair to say that irony is modern culture. There even exist those who practice religion ironically. Not so much swimming against the current as floating far out beyond it, Scourfield has delivered an utterly sincere book. It is an amazing achievement but not necessarily an entertaining one and the refreshment leaves a puzzling after-taste. In the first novella, “The Luthier” Alton Freeman is a meticulous crafter of fine violins. He uses Australian hard-woods in his monomaniacal search for the Sound. The sound is a recording of Bach’s cantatas and partitas made by the fictional violinist Monica Erica Grenbaum. Majestic! In a modern novel. Incredible. Surely this is a sign that the story is a tragedy. Surely Alton Freeman is due a major misfortune, perhaps a fire to burn his precious viols or a jealous rival to steal his shaping techniques? In fact not only is “The Luthier” not a tragedy, it is a story in which not only the main character’s dreams are fulfilled (through those awfully true clichés hard work and determination) but his precocious child also enjoys great success. It is a story without a villain and therefore only half a story. Though he struggles mightily with his tools and the limitations of his ability he is not even in battle against himself. No vices plague him, and his loving family and loyal friends do everything they can to help him (with the exception of his initially sceptical father). The writing is often elegant and there is much to enjoy for lovers of classical music or those who enjoy learning the details of somewhat archaic crafts. (I am both, by the way.) If Scourfield is not himself an amateur instrument-maker then he has done some incredible research and love for the Alton and the rest of the characters drips from every page. Freed from quotidian concerns by a hefty inheritance and a lucky movie deal for one of his novels Rossi muses on such things as “the question of Happiness,” and remembers, in great detail, former lovers. But he is like all of Scourfield’s characters concerned with how to live. He has determined not to procreate, “not to exacerbate the situation generally, not to make everything worse.” In a turbulent encounter at the beach he befriends seventy-two year-old Beatrice and perhaps does more than befriend. Of the three works, “Like Water” features the most conflict, though it is internal. Rossi is intensely neurotic and self-concerned but likeable. Somewhat implausibly, given his talent for solitude, Milner is “a mesmerising speechmaker.” The speech he gives at a university about the coming “Sixth Extinction” gives Scourfield a chance to repeat pious, millennial ideas about the destructive nature of humanity, which will end up causing our own annihilation. Ideas which are hard to deny, but when found in fiction as barely concealed authorial comment have me reaching for the most scurrilous Kingsley Amis novel. To Milner’s great credit, he does live his ideals but painstakingly having respect for nature is not the most compelling storyline available to a novelist. A nasty mining concern, hunters or even dirt-bikers would have provided a much-needed counterfoil for Milner’s musings. Unaccountable Hours gives us three saint’s lives in circumspect, careful and often elegant prose. What’s missing is plot and conflict both inner and outer. There is a deep Christianity about these stories as well, unusual in Australian writing and Scourfield has grasped well the way faith and ideas influence our behaviour. Unaccountable Hours is an at times fascinating read but it remains un-compelling despite the attention to detail. There’s a reason hagiographies aren’t read much anymore. Lucas Smith is a writer living in Melbourne. He has been published in The Australian Book Review, New Matilda, Eureka Street and The Lifted Brow. He is currently one of those ‘responsible’ for The Nose http://thenose.com.au/, a Melbourne based free fortnightly newspaper of satire, journalism and literary review. This entry was posted in Issue 4, Lucas Smith, Stephen Scourfield, Unaccountable Hours, UWA Publishing and tagged Australian Fiction, Australian Literature, Bach, Ethical Man, Like Water, literature, Little Sandy Desert, Sixth Extinction, The Luthier by Mark Roberts. Bookmark the permalink.